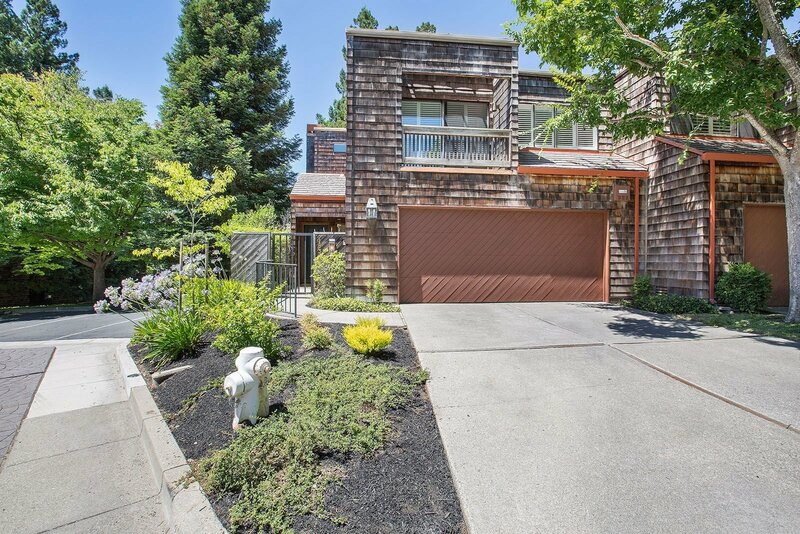 Stunning end unit on a quiet cul-de-sac that offers Lafayette schools and is close to Hwy 24 & BART and downtown Lafayette and Walnut Creek. Step inside to enjoy the spacious open floor plan with soaring ceilings, light-filled rooms and private patio. The chef’s kitchen offers a gas range, an abundance of storage, vast counter space and hardwood flooring. The expansive master retreat includes a sitting room, private deck and master bath with soaking tub and shower stall. There are two secondary bedrooms, one with a large walk-in closet that can be converted to a study/bonus room. Only steps away from the pool/spa and club house and adjacent to visitor parking. This is one of the best units in the Summit Ridge!